This entry was posted in Canada canada immigration Visa and tagged Canada Express Entry System canada federal skilled worker Canada Federal Trades Worker Canada FSW program Canada Immigration Canada Permanent Residence Visa Canada PR Canada Provincial nomination program Canada skilled immigration program Canadian Experience Class Immigrate to Canada on March 6, 2015 by Blog Author. This entry was posted in Canada Canada Immigration and tagged Canada Express Entry 2015 Canada Express Entry System canada federal skilled worker program Canada FSW program Canada FSW Program Requirements Canada Immigration Migrate to Canada on January 21, 2015 by Blog Author. This entry was posted in Canada Canada Immigration and tagged Canada Express Entry System 2015 Canada Federal Skilled Workers Canada FSW program Canada Immigration Canada PR Canadian Experience Class Canadian Permanent Residence Visa Migrate to Canada on January 1, 2015 by Blog Author. 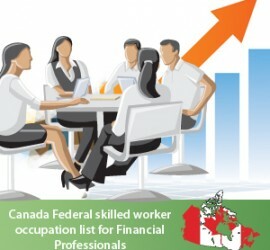 This entry was posted in Canada Immigration and tagged canada federal skilled worker 2014 Canada FSW 2014 Occupations list for Technicians Canada FSW occupation list for technicians Canada FSW program FSW occupation list on May 15, 2014 by Blog Author. This entry was posted in Canada Immigration and tagged Canada FSW occupation list for Engineers Canada FSW program FSW occupation list for Engineers FSW requirement FSW requirement for Engineers Job opportunities for engineers in Canada Jobs for engineers in Canada for foreigners on May 10, 2014 by Blog Author. This entry was posted in Canada Immigration and tagged Canada Federal skilled worker occupation list Canada Federal skilled worker occupation list for Financial Professionals Canada Federal skilled worker Program 2014 Canada FSW program Canada FSW program 2014 FSW occupation list FSW requirements on May 9, 2014 by Blog Author. This entry was posted in Canada Canada Immigration canada immigration Visa Canadian citizenship and tagged canada federal skilled worker Canada FSW program canada work visa CIC Citizenship and Immigration Canada Immigrate to Canada new occupation list work in Canada on April 29, 2014 by Blog Author.